This past weekend, I had an incredible opportunity to teach a yoga class at the Train Like an Animal Beach Bootcamp. 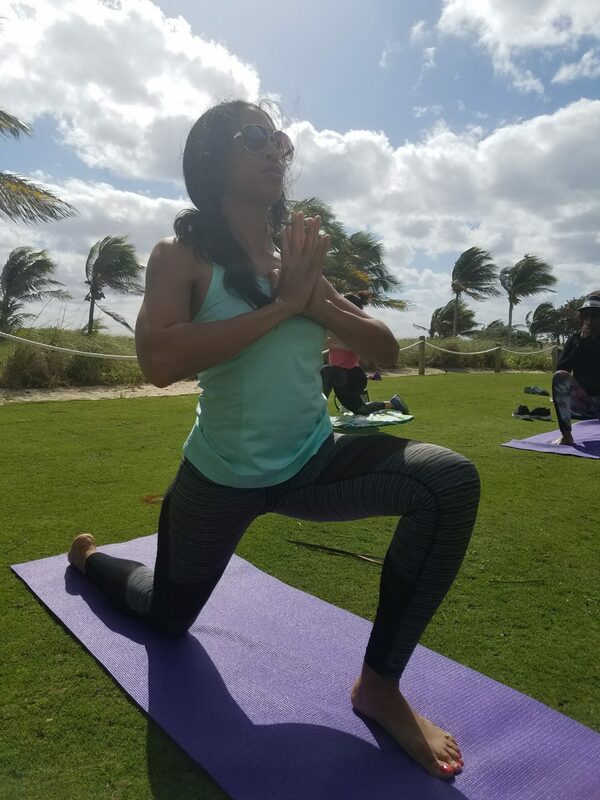 I initially thought I was going in to teach others how to cool down and relax the mind after a strenuous workout, but as it turns out, the exceptionally challenging boot camp session followed by my yoga cool-down stretches ended up schooling me on a few lessons about life. The night before beach boot camp, I must have woken up every hour on the hour. Why? This would be my first time teaching a class on the beach… in South Florida…where everyone is beautiful…where everyone is perfect…right? At least that’s what I’d pictured in my mind. Not to mention, I wanted to make sure that I was up in time for my 8:15 a.m. Uber ride from Boca to Pompano Beach. There was so much swirling around in my head. How often do we do this in our daily lives? We paint pictures in our minds about how we think things may look or imagine all the things that could go wrong. We create these self-limiting beliefs that sometimes keep us from expanding, evolving and moving forward in our purpose. The truth is, there will always be reasons why we shouldn’t or can’t do something. So if we really want to accomplish a goal then we have to ask the Universe for guidance, grab life by the horns, and trust that there is no better time than the present moment. As it turns out, I woke up on time and made it to the beach with several minutes to spare. I knew today was the day… self-doubt would have to take a back seat. And yes, the people were beautiful, but the beauty I’m referring to radiated from the inside out. From the trainers to the clients, everyone was filled with so much positivity, energy and zest for the day, I couldn’t help but take it all in. 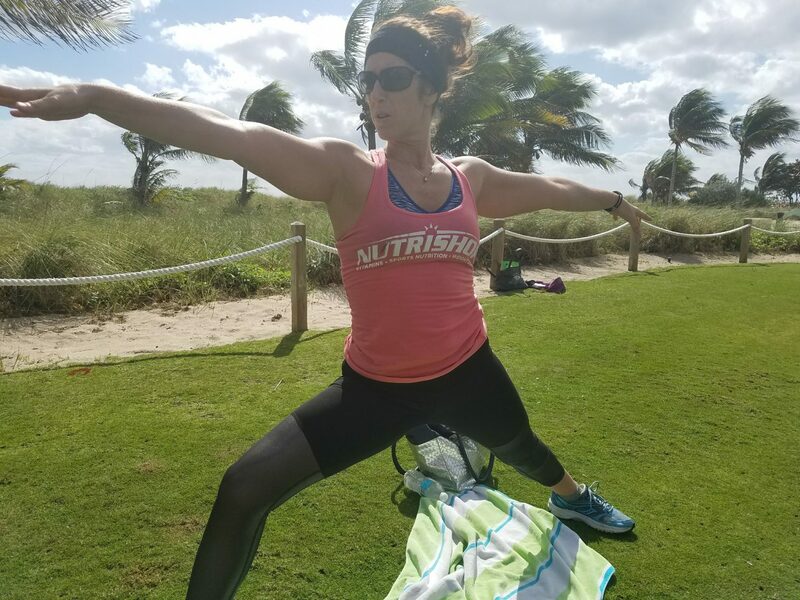 Since it was my first time attending boot camp and I was slated to teach a cool down yoga session afterwards, my original plan was to observe everyone else sweat their butts off and push through the pain. Somehow, I was swayed to take the class myself. The class was tough. It forced me to push myself harder than I would have on my own. At the same time, it was quite intoxicating. 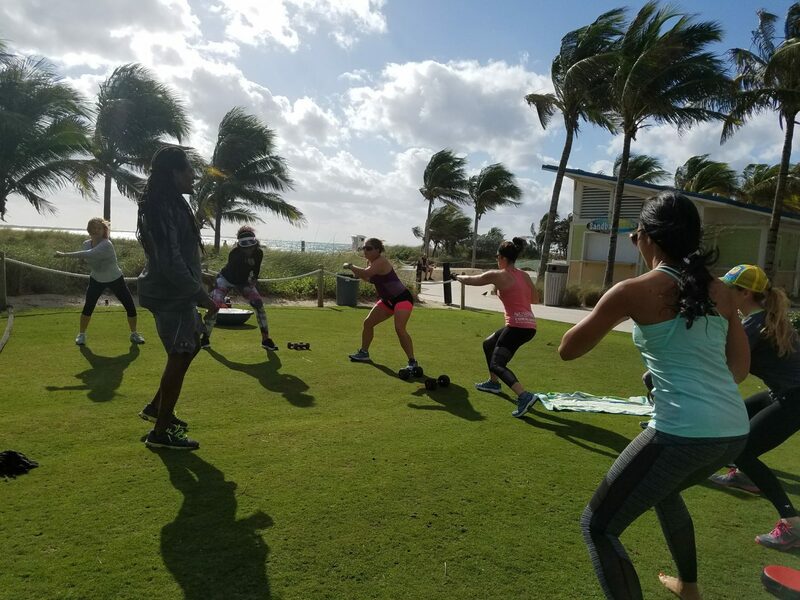 Here I was working out on a beautiful South Florida beach with a great group of people and amazing trainers. While there were moments when I wanted to quit, I knew I had to keep moving forward. In life there will always be obstacles and challenges, but as the great Albert Einstien once stated, “In the middle of difficulty lies opportunity.” This was my opportunity to practice patience with myself and have faith that this experience would only make me stronger. And just like that, the boot camp session was over. It was time for us to stretch it out on the mat. I had been waiting for this moment and it was finally here. It was as if I were watching myself, and everyone else on a movie screen. It was divine, it was majestic, it was euphoric. It was at this moment, on the mat, that I was able to feel a connection with the masterpiece of nature, a connection with others and truly experience a oneness with my divine self. No, Train Like an Animal Beach Bootcamp isn’t a movie, it is life…it is an opportunity to commune with a great group of individuals. And with the added component of yoga, it was an opportunity for me to live out my dream of sharing my passion with others. I had the pleasure of attending the Yoga class after beach bootcamp and it was just what I needed. Enjoyed clearing my mind, body and soul after putting in some work. I love the Train Like an Animal beach bootcamp and would recommend you come give it try!!! Thanks Lee Ann for always supporting the bootcamp and we’re planning on doing additional things this year to always keep it fresh and vibrant. What a fantastic day it was! Ocean breezes, sunshine, wonderful people, great energy and a challenging workout. The yoga afterward was such a beautiful way to complete the morning. Thank you Charmain for the yoga instruction and the lovely lavender essential oil at the end of the class. I am so hooked on this bootcamp workout. You couldn’t ask for a more dedicated, motivating and fun group. Thanks again and I’ll see you next week. 🙂 . It was quite an experience for everyone Angela and looking forward to this Saturday as usual.